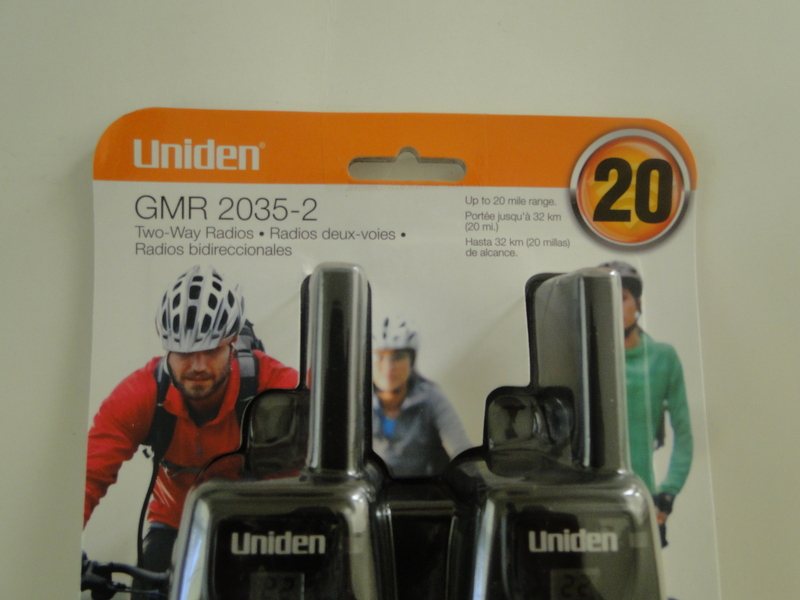 For all your communication needs, without too many whistles and bells, Uniden present their GMR2035-2 2-way radios. 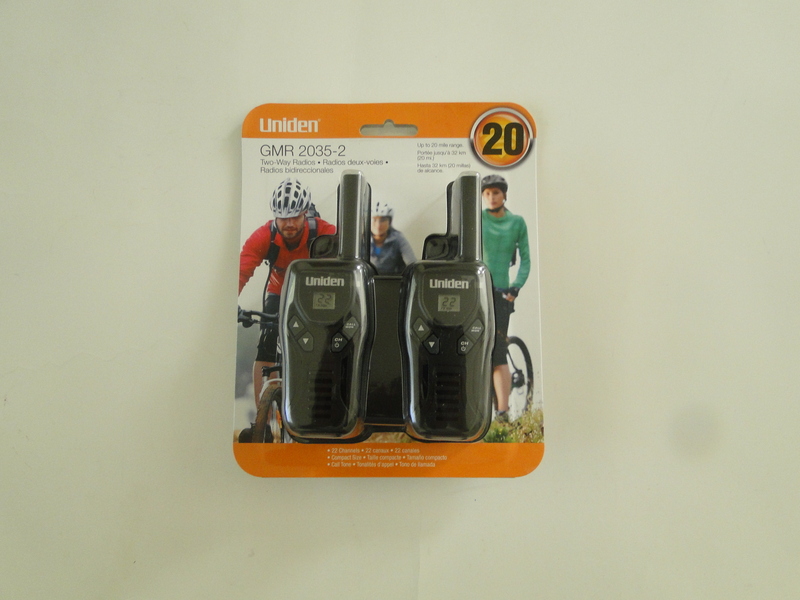 This two pack of compact, reliable two-ways let you communicate with other members of your group within a 20-mile range. Anyone can use these radios easily, as their simple design makes them exceptionally user-friendly. 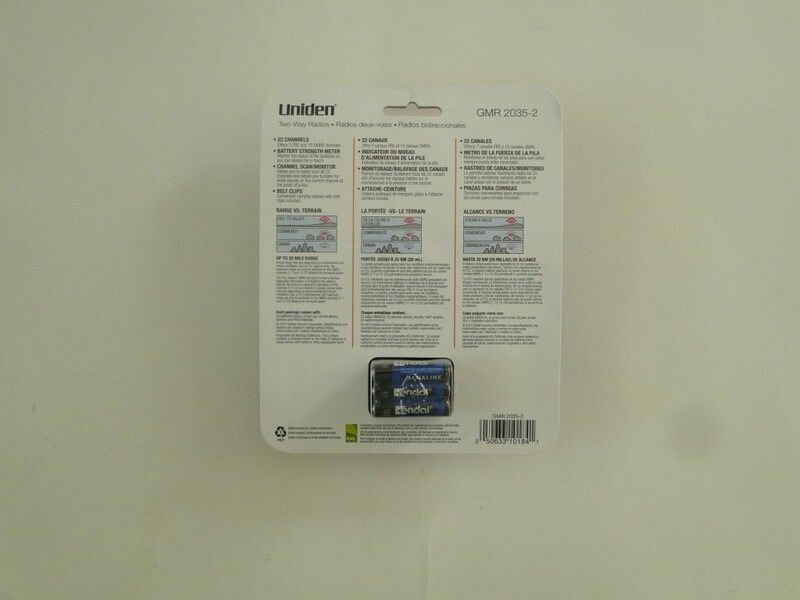 Handy in any situation, from days out with the family to camping and sudden emergencies, these two-ways from Uniden slip easily into a backpack or pocket. 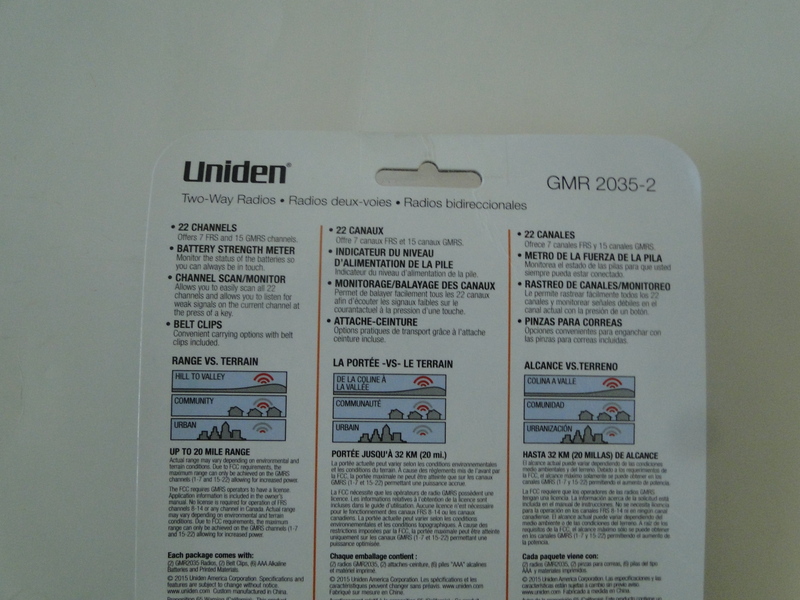 Stay prepared and make communication easy with this Uniden GMR2035-2 GMRS/FRS two way radio two-pack. While a 20-mile optimal range isn’t the longest available, it’s plenty for most people. With a 20-mile radius, this radio lets you communicate with others at a significant distance that’s perfect for everything from hunting and camping to emergencies and family outings. Just remember that you’ll only achieve the maximum 20-mile operational radius with a clear line of sight. Uniden test their units in natural conditions from mountain peak to valley to find the maximum operational distance, which in this case is 20 miles. In built up areas, anywhere with lots of trees, uneven topography, atmospheric interference or heavily residential or industrial areas, the maximum range will drop considerably. The Uniden GMR2035-2 is equipped with access to 22 channels, so you’ve got ample channel choice. Channels 1 to 7 are GMRS and FRS, while channels 8 to 14 are FRS only. Channels 15 to 22 are GMRS only. FRS channels do not require you to have a license, so you can happily use channels 7 to 14 without worrying about applying for and buying a license. If you want to make use of the GMRS channels, make sure you’re properly licensed before you start. And you can communicate with anyone on the same channel, regardless of their brand and model of radio. For added convenience, you can use the channel scan feature to scan all 22 channels. The radio continually scans every channel until it finds an active one. It then pauses on that channel until the channel goes silent, waits two seconds, then continues to scan. This is particularly useful if you need help from anybody nearby or if you’re looking for a specific person within range, but you’re unsure of what channel they’re on. Once the scanner pauses on a channel, you can simply push your PTT button and transmit your message. This radio comes with both auto-squelch and monitor mode. If you choose to activate auto-squelch, you r radio will automatically filter out weak transmissions and unwanted noises. If you go with monitor mode, the radio transmits weak signals on that particular channel. This particular model has an ERP of 0.6 Watts across channels 1 to 7 and 15 to 22 and an ERP of 0.46 Watts for channels 8 to 14. The ERP, or effective radiated power, is the power emitted for communication purposes via the antenna, but isn’t comparable to Conducted Power, which is generally far higher than the ERP. Drawing less than 1 Watt ERP, this two-way radio is energy efficient, and the batteries generally last at least 8 hours. 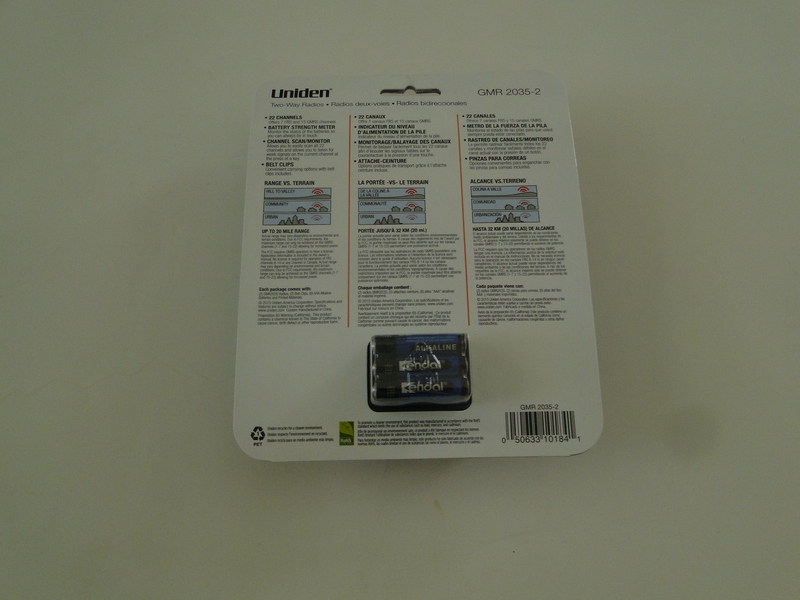 The two way radio from Uniden uses three AAA alkaline disposable batteries. While you can’t recharge these radios, each set of disposable alkaline batteries lasts for around 8 hours of general use. If you buy high quality AAA batteries in bulk, they have a long shelf life and you can stash a few packs in with your radio, in your bugout bag, in the car, and in the house, so you’ve always got some on hand. Alkaline batteries last much longer with use than NiMH models, and they’re kinder to the environment, too. As an added bonus, you get 6 AAA alkaline batteries in the box with your radios, so you’re ready to start communicating right out of the box. 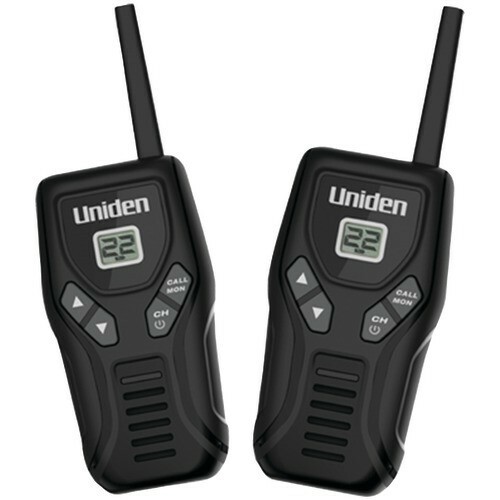 The Uniden GMR2035-2 radios are compact, palm-sized units. Their small stature makes them a great choice when space is at a premium or when both size and weight are serious considerations. Because they’re small, light, and easy to use, these two-way radios make a great choice for children, too, so they’re a solid option if you’re shopping for basic emergency radios or a method of communication during days out or vacations for the whole family. Palm-sized and lightweight, these two-way radios are designed with simplicity and ease of use in mind. Four buttons on the front, a robust overall construction, and a rugged antenna on the top. What more do you need in a reliable two-way? You get a one-year limited warranty with this radio pack. Just remember not to get all fancy and alter, modify, or otherwise mess with your radio, otherwise you’ll risk voiding your warranty. Take good care of your units and they’ll last you for years. Overall, these compact radios offer great value and make an excellent choice as basic, no-frills two-way radios that let you stay in contact with the rest of your group. Forget all the whistles and bells and get a pair of reliable, durable two-ways without breaking the bank.